Jean Claude Boulos joined the IAA (International Advertising Association) in 1977 and is since a very active member of the association. He was elected four times President of the Lebanon chapter in 1986, 1991, 1993 and 1999. He was elected Vice-President/ Regional Director for Middle East and Africa in 1996 and 1998 before being elected World Vice President - Elected President in 2000. In 2002, at the occasion of the 38th IAA World Congress that was held for the first time in Beirut JCB took the reins of the world presidency for a mandate of two years. In April 2002, Beirut hosted the 38th congress of the International Advertising Association with about 700 standard-bearers from more than 40 nations taking part in the first such event ever in the Lebanese capital. The cream of the world's advertisement, marketing and media industries turned out for the inaugural session at the Beirut International Exhibit and Leisure Center (BIEL). 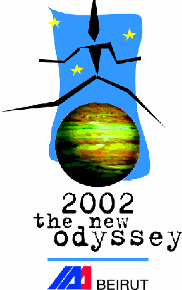 The three-day biannual event, dubbed "2002 the New Odyssey … in Relationships" examined the fallout of the Sept. 11 terrorist assaults in the U.S. and their impact on the advertising industry. The conferees have highlighted the fact that this was a major failure in communications on both sides of the divide. Congress Chairman Ghassan Tuéni emphasized the role of Lebanon as a promoter of dialogue between cultures as the only way "to avoid the clash that we are witnessing today in our constant quest to confront economic recession and terrorism." The IAA congress in Beirut marked the outset of the two-year term of Jean-Claude Boulos, of Lebanon, as IAA president. Two other Lebanese were previously elected to that post, Samir Fares (1988) and Mustafa Assad (1992). The Lebanon chapter won the Golden Tulip Award in 1988. The first session focused on the importance of advertising in the Printed Press versus the audiovisual media. Gebran Tueni, the An-Nahar general manager, mediated a flare-up between the president of the World Association of Newspapers (WAN) Roger Parkinson and the general manager of the Lebanese Future TV network Nadim Munla. They examined in their debate the characteristics of print advertisement and underscored the problem of zapping in TV advertising, claiming that the former is much more effective. The well-known Peruvian economist Hernando de Soto, a Nobel Prize nominee in 2001, emphasized in his address the fact that in most nations there is plenty of illegally held property that is unfairly tying up capital for development. The celebrated CEO of Nissan, Carlos Ghosn, shared his success story with an enthusiastic audience, giving him a standing ovation. Boulos presented Ghosn with the Man of the Year award for 2002. A great tribute to the success of this event goes to the Lebanese Chapter of the IAA who labored day and night in the last nine months against all odds to ensure that this event would take place despite the September 11 disaster. In April 2008, from underneath the Norman Foster designed glass canopy at the 41st International Advertising Association (IAA) World Congress Gala Dinner held in Washington DC, Indra Abidin, new IAA Chairman and World President, presented prestigious IAA and Samir Fares Awards, to Tateo Mataki, President & CEO of Dentsu and Jean-Claude Boulos, GM of Alsumaria, respectively. The Samir Fares Award, presented jointly by the Lebanon and United Arab Emirates (UAE) advertising communities, is a memorial to Samir Fares, a former UAE resident of Lebanese origin who began the IAA-UAE chapter in 1979, the third in the region. The award recognises career achievement in the IAA and outstanding service in furthering the objectives of the Association. Michael Lee, Executive Director of the IAA was last year’s award recipient. The International Advertising Association (IAA), headquartered in New York, was founded in 1938 to champion responsible marketing. The IAA, with its 56 chapters in 76 countries, is a one-of-a-kind global partnership whose members comprise advertisers, media, advertising and public relations agencies, media companies, and academics. The IAA is a platform for industry issues and is dedicated to protecting and advancing freedom of commercial speech, responsible advertising, consumer choice, and the education of marketing professionals. Founded in 1961 by Mounir Takchi, Lebanon chapter has been one of the most dynamic chapters in the world winning the Golden Tulip -a distinction that reward the best chapter in the world-in 1988 during the World Congress in Sydney.